Spring is here, and we've just returned from a very exciting buying trip in England. 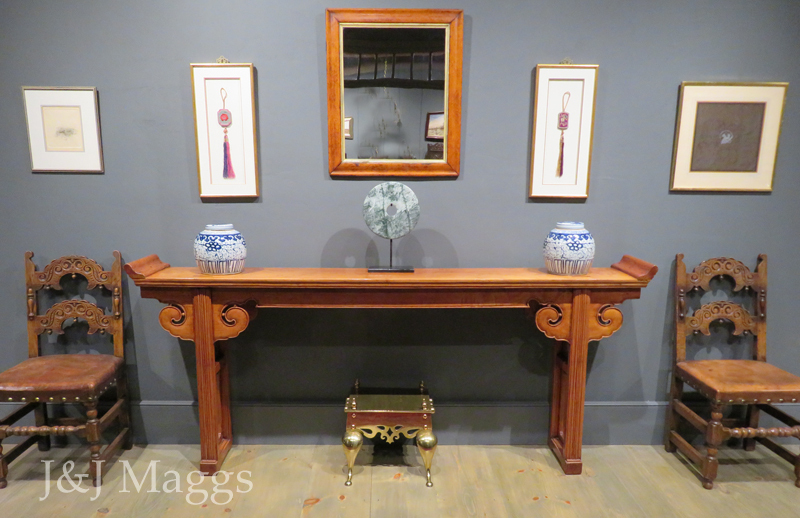 As our April newsletter goes online, we're in the midst of preparing our showrooms for this semiannual event, during which our newly acquired antiques receive their first showing. This will be the fourth show in our new barn, which has proven to be a remarkable venue in which to view antiques and art. 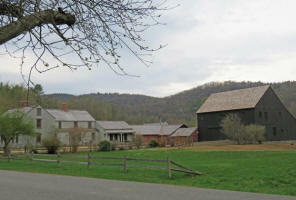 If you've never been, think about visiting for one of the events it will host this year. Our two post-England shows have become the high points of our business year, as customers and friends from Conway and all over the Northeast come to have a look at what's new. We'll be open from 10:00 until 4:00 on both days. This year, in an attempt to include as many as possible in the opening weekend, we plan to send out by email a listing of some of the best pieces freshly seen in the show. While it's neither practical or sensible to send this out on Saturday, since we're usually overextended already, it will be mailed as our doors open on Sunday morning at 10:00. Unlike our usual listings, this one will contain only a single picture of each piece, along with a brief description. Interested shoppers will be encouraged to email or call for additional information. While this promises to be challenging for us, especially if there are shoppers here on Sunday morning, we feel that we owe it to customers from far away.